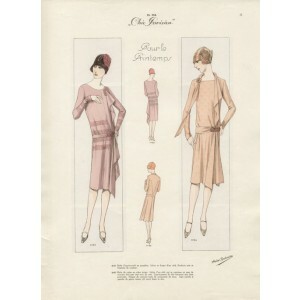 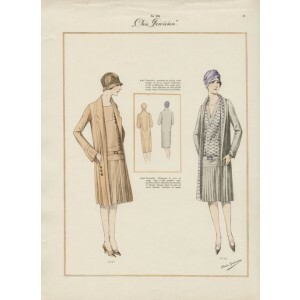 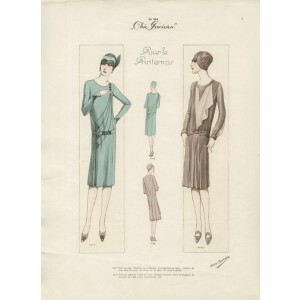 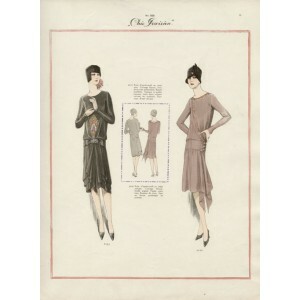 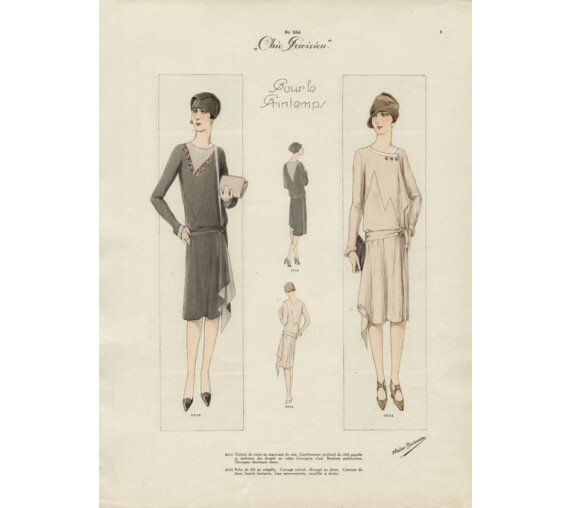 Art Deco 1920s Parisien fashion design. 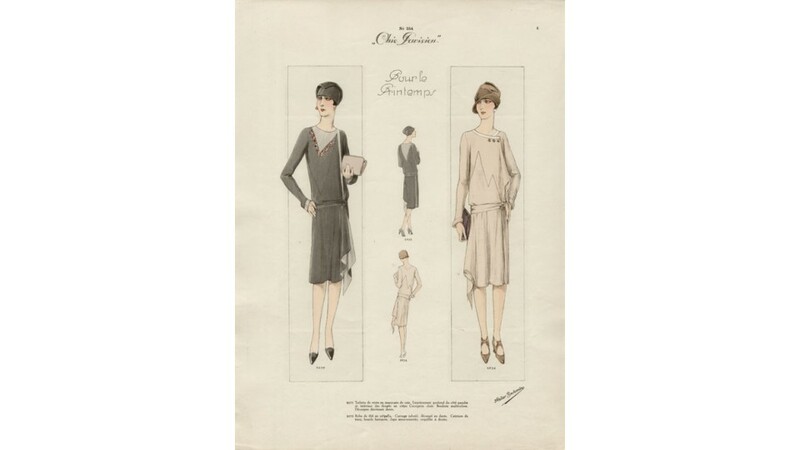 Colour lithograph published in Paris in 1928. 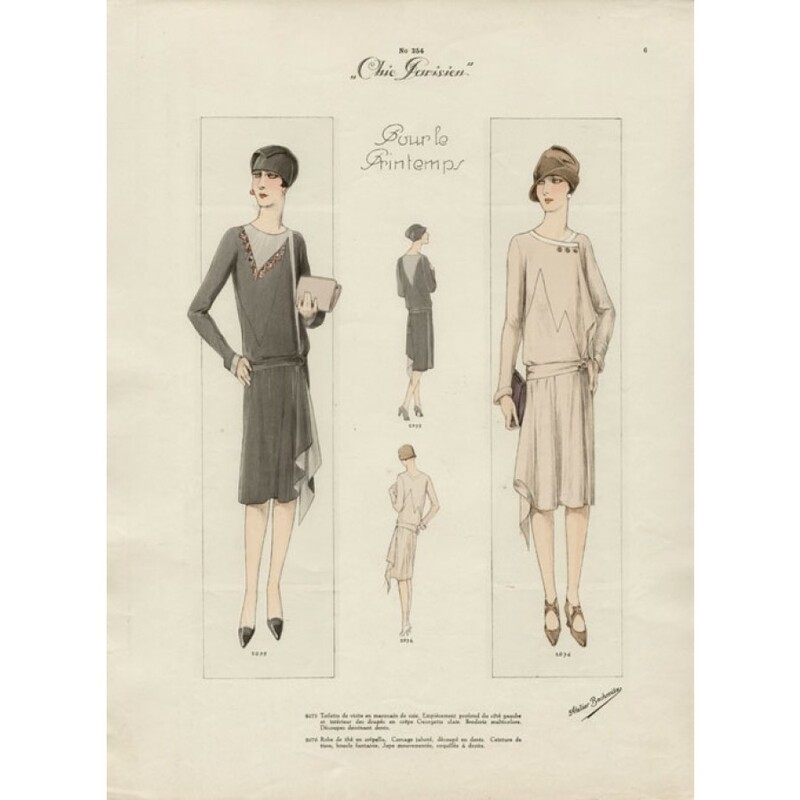 From a French series titled 'Chic Parisien' depicting the fashions for women designed by Atelier Bachroitz. 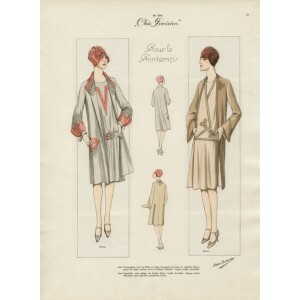 Each depicts two designs with a detailed description in French and a sketch of the reverse.